Nobody would judge you if you needed to take a couple days, get out of town, and surround yourself with the serene beauty of nature right now. In fact, a fall getaway might be exactly what you need to relax and care for yourself. See how happy and at peace that dog is amongst the fall leaves? That could be you. Foliage and cabin vibes aplenty are a mere road trip away. Here are some of our favorite destinations for any time the mountains are calling–or when you just need to be far from other people so your constant existential screaming doesn’t trouble the neighbors. 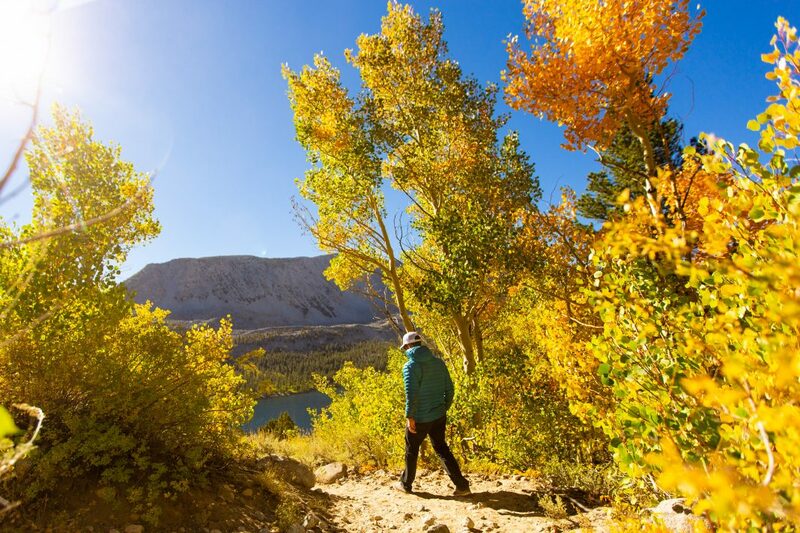 Big Bear pitches itself as SoCal’s “four season mountain resort,” with scenery and activities worth taking advantage of throughout the year, but they do get extra into all things autumn (they even have a suggested hashtag, #FallForBigBear). The area’s trees turn colors in fall, making for a picture-perfect seasonal hike through the woods. Experts there suggest the middle of October to early November for your peak leaf-peeping opportunities. Appealingly close to L.A.–driving Pasadena to Lake Arrowhead clocks in under two hours–yet attractively rustic when you arrive, Lake Arrowhead is a natural weekend getaway. If you’re already thinking about the holiday season (you just want 2018 to be over; we get it), Santa’s Village at Sky Park opens in November so you can jump right to elves, stockings, and gingerbread. Idyllwild has all the adorable trappings of a quint small town tucked into the woods at the top of a windy mountain road. Go on hikes, explore the little shops and cafes, or do some mountain biking while you’re here. Oh, but a word to the wise: you will have to bring your own weed, if you’re into that sort of recreation. Dispensaries are banned in Idyllwild and other unincorporated parts of conservative-leaning Riverside County. If you were turned off by the summer crowds that streamed into Big Sur as soon as the highway reopened earlier this year, fall might be your chance to finally make it up. October is also a peak time for spotting the area’s populations of Monarch butterflies and California Condors. By November, you might spy a gray whale making an early migration. If you’re willing to hop on a plane (or don’t mind a 14-hour road trip), consider a fall visit to Taos. After you’ve taken in the stunning scenery, pay a visit to trailblazing female artist Georgia O’Keeffe’s home and studio at Abiquiú, not far out of town, before it closes for the season on November 21. Be sure to pack a coat–nighttime lows in Taos hover at or below freezing throughout the season.